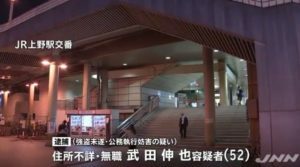 HOKKAIDO (TR) – Hokkaido Prefectural Police have confirmed that a body found in a mountainous area of Mikasa City earlier this week is that of the wife of a man in custody in connection with her death, reports TBS News (Dec. 20). 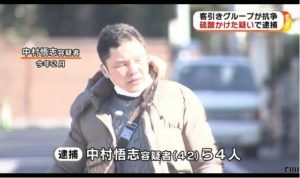 On Thursday, police sent Yuki Arai, a 39-year-old grape farmer, to prosecutors on suspicion of abandoning the corpse of his wife, 36-year-old Chie, in the mountainous Nishikatsurazawa area of the city on around November 2. Upon his arrest earlier this week, admitted to the allegations. The suspect has also hinted at involvement in her killing, police said. At around 7:00 p.m. on Tuesday, police found several sections of a corpse in the location the suspect described. The following day, police continued the search in spite having to endure deep snow and steep slopes near the river. 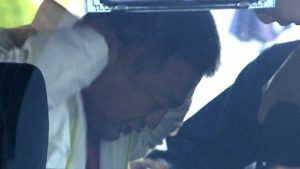 The results of a DNA analysis conducted on the body proved to be a match for Chie, police said on Thursday. The couple has a son. 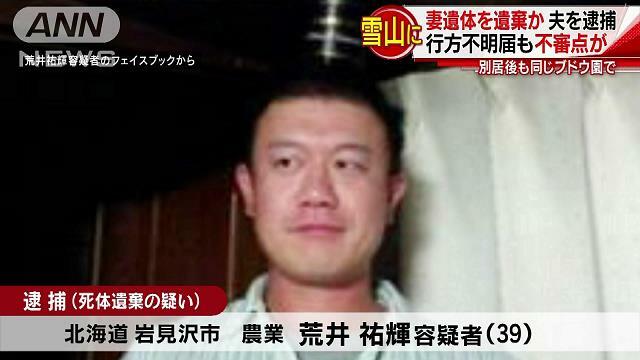 In April, they began living separately, with Chie living with the son in the residence of an acquaintance in Iwamizawa City, police said previously.